The language features in GENP are extensive. As the various language features are externalised it is possible for you to add a language to one of our features. You do not have to wait for us to add a language and then bring out the next release. Please contact us if you want to add a language. Someone else may already be doing a translation. We also would like to ship the language with our next release. You can change the Dates to one of the supplied languages or add your own. 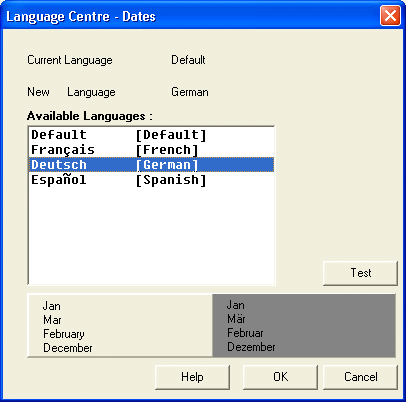 The Forms dialog allows you to switch forms and dialogs to another language. 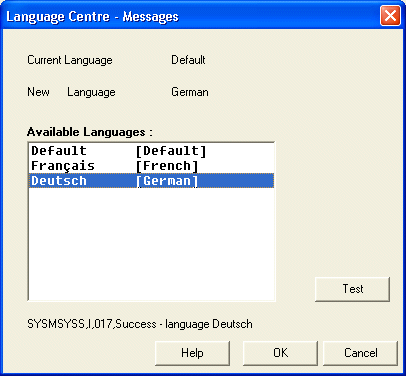 The Messages dialog allows you to switch messages to another language. 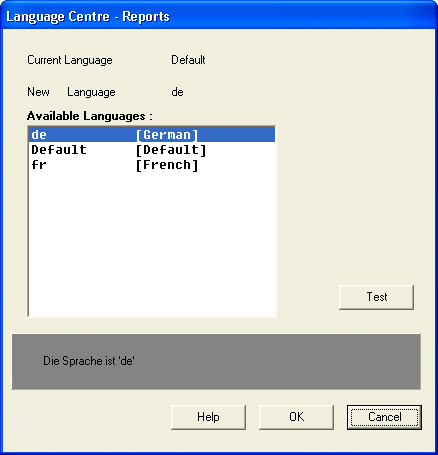 The Reports dialog allows you to switch reports to another language. The Sources and Attributes dialog allows you to switch sources and attributes to another language, and to create sources and attributes in another language. You will need to contact us to be given instructions on how to translate the sentences. 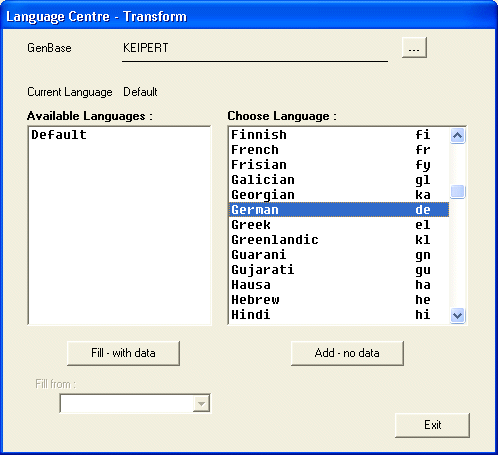 The Transform dialog allows you to add a new language to a GenBase. For example, a German user can transform their data into the default language so that their American cousin can see the data. 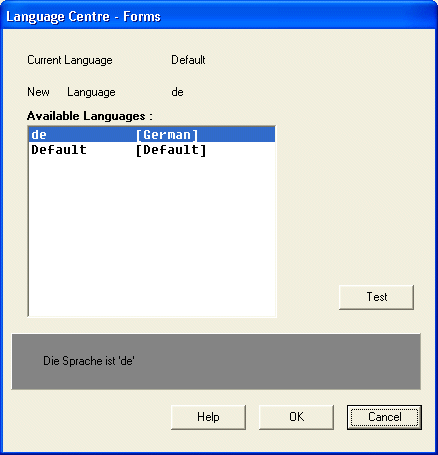 The following screenshot simulates adding the German language to the existing Default language. The German language has been chosen from the "Choose Language" list. The next step is to click the button 'Add - no data'.